Entire lifetimes have come and gone without the moon looking quite as large as it will this month. On November 14th, skygazers will witness the closest full moon, or “supermoon,” of 2016. But more excitingly, it’ll be the closest full moon since 1948—and we won’t get another one like it until 2034. The reason the moon appears to shrink and grow in the sky is that its orbit is not a perfect circle, but rather, a modest ellipse. 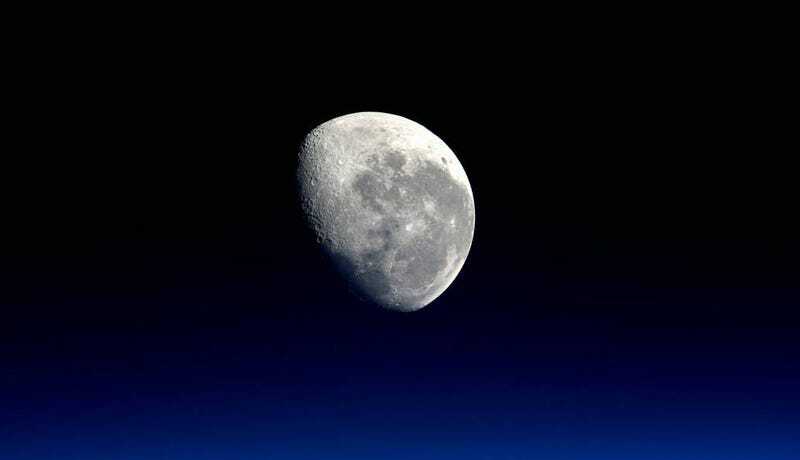 As the moon swings between its closest point (perigee) and its furthest point (apogee), its distance to Earth varies by approximately 30,000 miles. This translates to a size variation comparable to the difference between a nickel and a quarter. Full moons and new moons occur when the Earth, sun and moon all form a line, something astronomers call “syzygy.” When the moon is on the opposite side of the Earth as the sun during syzygy, it appears full. And when this particular celestial alignment also happens to coincide with perigee, we get an exceptionally close full moon, also known as a perigee moon or a supermoon. A full moon at perigee can appear up to 14 percent larger and 30 percent brighter than a full moon at apogee. But even among the elite perigee moons, there’s some variation in size. That’s because the sun and moon—being moving objects in space rather than circles on a diagram—very rarely line up exactly at perigee. And, to a lesser extent, because the Earth’s distance to the sun changes during its orbit, too. What makes the November 14th moon so special is that it turns full at 1:52pm UTC (9:52am ET), two and a half hours after hitting perigee at 11:23 UTC (7:52am ET). This is the closest a full moon has to come to hitting perigee on the nose since January 26th, 1948, and the closest it will come for another 18 years, until November 25th, 2034. All in all, it’ll be the largest moon in an 86 year period, which is pretty damn cool. Although, as NASA Planetary Program Executive Gordon Johnston notes, it’ll be very hard to tell the difference between this super-dupermoon and more ordinary supermoons with the naked eye. “You’d need a ruler,” he said. According to Johnston, if you’re on the East Coast, the best time to check out this once-in-a-lifetime supermoon is going to be early on the morning of November 14th, before the moon sets and the sky starts to lighten at dawn. Not only is pre-dawn the closest to the full moon perigee us East Coasters are going to get, but—added bonus—as the moon sets, it can appear unnaturally large, owing to the fact that your brain starts measuring it against other objects on the horizon. So: set an early alarm for the 14th, and get ready to bask in the glory of the most brilliant supermoon the modern world has seen.